Schneit es monentan in Sun Peaks ?Vielen Dank! 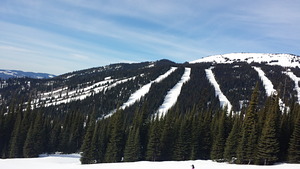 Sun Peaks Resort, previously Tod Mountain, is 45 minutes away from the city of Kamloops in the interior of BC. 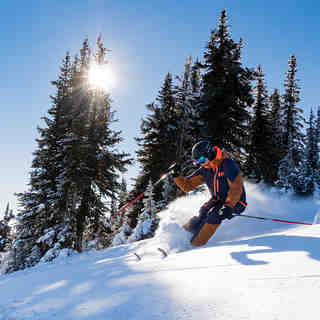 The ski area's owners, Nippon Cable Company Ltd, purchased Sun Peaks in 1992 and have invested heavily to transform it into a four-season destination resort. You will find 137 runs over three mountains, with an average snowfall of around 237 inches (6 m). They have 13 lifts (chair and surface). 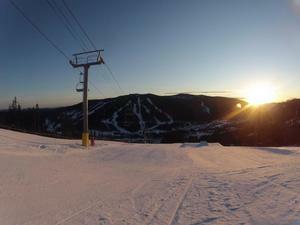 The area has plenty of open bowl skiing, as well as wide groomed runs and glades. Off the slopes at Sun Peaks there are six on-mountain hotels as well as many condominiums and chalets, most of which provide ski-in ski-out accommodation. Additional lodging can be found in Kamloops. 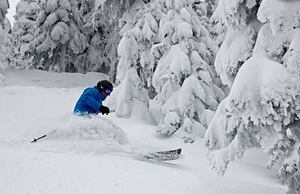 Sun Peaks is the second largest ski area in Canada, with its 4,270 acres of skiable terrain meaning only Whistler Blackcomb is bigger. New for the 2018/19 winter season is the Orient quad chairlift, which will improve access to the Orient Ridge area of the resort as well as make it easier to ski between the main village and Mt. Morrisey. Our children learnt to ski here aged 3 and 5 and are now 14 and 16. We have come here most years so I feel confident that I know the resort well enough to leave a review! 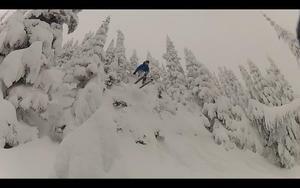 Sun Peaks has been our little secret gem as it's little known in the UK. The long travel time to get there from Europe is most definitely worth it. Travel is via Calgary or Vancouver and then a small plane flight to Kamloops and a shuttle bus (about 13 hours in total from London). So what makes it worth it? 1. The weather conditions: with temperature rarely getting above freezing by day you don't get the morning ice/afternoon slush of many resorts. It's colder and drier than the coast so sleet is not a problem. Even if it hasn't snowed for a few days there is always a good covering. This year 2018 exceptionally so. Last year was the only year we experienced anything like European snow conditions and even then nothing in comparison. 2. Hardly any line-ups and certainly no European pushing and shoving in the queue. In fact, everyone is so polite and merging lines work really well. 3. Huge runs, especially width and in some cases length (Green 5 Mile run) on most days except perhaps President Week, you can be skiing totally on your own! The runs range from beginners to experienced skiers. We now all ski most runs except the double diamonds and there's plenty to keep us happy for a week. 4. Lovely village with great choice of restaurants. Latest addition a Poutine shop - chips, gravy, cheese curds! Yum. We have stayed in pretty much all the different types of accommodation available. We started in a house in the forest area year one but quickly realised it was worth paying more to ski-in, ski-out. Since then we have stayed at the Cahilty and Sundance Lodge and family, with bigger budgets than ours, have stayed at the Delta/Grand. All clean and what you need with ski lockers provided. If you are adults only and have a good budget the 5th floor (9 adults preferred) at the Grand comes highly recommended. We love Sun Peaks. Please don't all come as we love the fact it isn't a second Whistler! For kids learning to ski the ski nursery/lesson facilities are amazing. Being European I thought 3 years old was too young for my child to learn, but no. In Canada, children are on skis from when they can walk, literally! My son, at three, had a one lesson factored in to his care at the Nursery and he coped. He is now a great skier. If you're in your teens/20's you will find Sun Peaks too quiet as there is not much night life, except for restaurants and a pub. However, for families and older adults it's perfect. Please Sun Peaks don't change. Lesen Sie 12 andere Beurteilungen ueber Sun Peaks oder geben Sie Ihre eigene Bewertung ab.